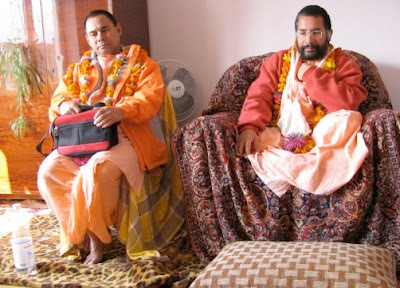 The Radha Govinda Gaudiya Math Vienna, have reported that from Sunday 26th June to Sunday 3 July 2011 they have received the visit of Sripad Bhakti Vichar Vishnu Maharaj and Sripad Srikanta Das Prabhu from the Sree Chaitanya Gaudiya Math. The Math has invited the European devotees community to participate in Hari-kirtan and Hari-katha during their stay in Vienna. Sri Sri Guru Gauranga Jayatah, ki jay!